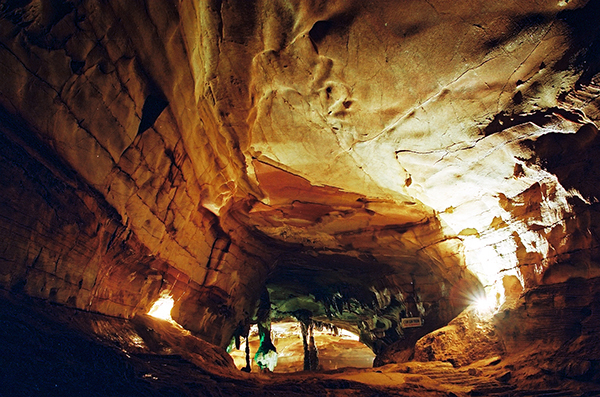 Travel channel GOASEAN includes park on list for its caves and flora and fauna. Phong Nha - Ke Bang was listed in June among the “7 National Parks You Should Visit in Southeast Asia” by the travel channel GOASEAN. Located in central Quang Binh province, Phong Nha - Ke Bang National Park, a UNESCO World Heritage Site, was opened to the public in 2003. “Within it rests some of Southeast Asia’s most spectacular underground rivers, along with some of the world’s most unique forms of flora and fauna - including hundreds of different types of birds,” and “It spans well over 800 sq km in area, and this means that you would probably need more than a day to experience its cavernous wonders,” according to GOASEAN. The British Cave Research Association (BCRA) recently discovered 57 new caves in 14 areas in the park. The total length of the cave systems is 20.127 km and most are untouched by humankind. Among the new discoveries was the 5 million year old Hoa Huong Cave - the oldest among Quang Binh’s many caves. Thanks to its majestic natural beauty Quang Binh province has attracted huge numbers of international tourists on adventure and cave tours. The province is planning to become a “Kingdom of Adventure Tourism” in Asia in the near future. Tours to Son Doong, the largest cave in the world at almost 7 kilometers in length and 150 meters in width and 200 meters in height, are fully booked to the end of 2017 despite the high cost. Community tourism has also become a new trend to attract international tourists to the province, especially European tourists, with 50,000 arriving in the first half. In 2015 the third phase of a project on the conservation and sustainable management of natural resources at Phong Nha - Ke Bang, funded by the German Government through non-refundable ODA of $2.13 million, was approved by the Prime Minister. The Quang Binh Provincial People’s Committee is responsible for reciprocal funding of $186,060. The project is expected to be completed by the end of this year and will apply conservation experience to the policy making of local management agencies. Quang Binh welcomed almost 3 million tourists in 2015, of which nearly 100,000 were foreigners. This year it targets welcoming 3.3 million tourists, including over 100,000 foreigners. To boost tourism, many accommodation providers have agreed with the province’s suggestion and cut their room rates by 20 to 40 per cent and some restaurants have done likewise, by 10 to 20 per cent. Quang Binh province is hosting many programs in July, such as an International Beer Festival, an International Swimming Race, and a culinary festival.